*WARNING*: Reading the following will definitely result in: - Eating incredibly delicious Vietnamese food - - Becoming addicted to amazing Vietnamese coffee & marvelous sweet treats - - Receiving friendly & courteous service at the places you visit - - Meeting wonderful Vietnamese people - - Enjoying the marvelous Vietnamese culture & traditions - - Learning about the interesting history (sometimes tragic, always fascinating) of this ancient country - ******** Of course, if any of this sounds good to you, please continue reading :)) ******** I CAN'T SPEAK VIETNAMESE: And neither can I! 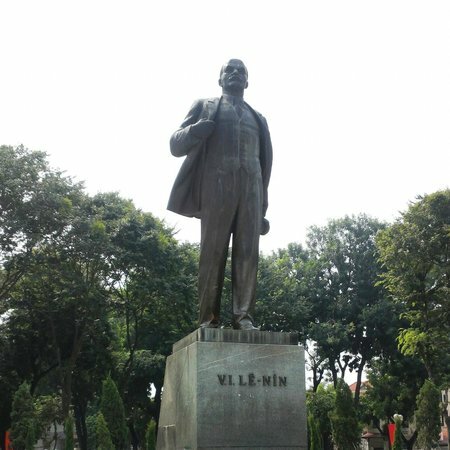 But this shouldn't stop you from enjoying all of the cool things that Ha Noi has to offer for us independent travelers... here's some ideas about how to fearlessly explore, without being fluent in the native tongue: ** Learn three phrases: "Xin Chao" (Hello), "Cam On" (Thank You), and "Tam Biet" (Farewell)... Knowing and using these 3 most basic Vietnamese word combinations have enabled me to enjoy the sights and experiences of Ha Noi, without an interpreter or guide. (Hint: Pronunciation can be a bit tricky -- you can improve your efforts with the help of an online audio translator.) 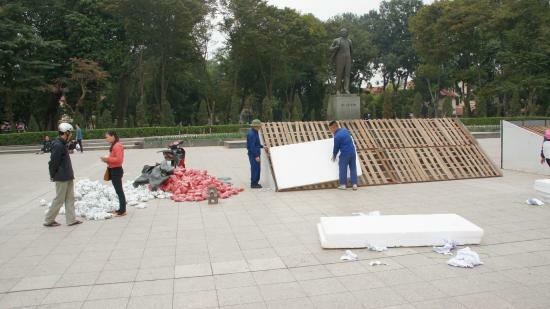 As elsewhere in the world, the local folks really appreciate your efforts to speak a little bit of their language. If communications require something more complex, try the following: ** Smile, smile, smile, smile... Make abundant use of something that everyone understands -- which will be promptly returned :)) Adding respect via voice tones and gestures (i.e., a small bow goes a long way in Asia) has also yielded wonderful responses. This is an opportunity to try out your sign language skills (e.g. 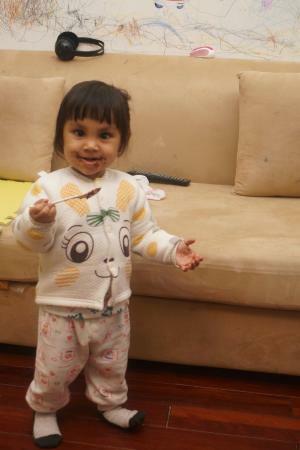 pointing at your empty dish and giving a "thumbs up" needs no translation). Sad to say, many of the interactions I've (discreetly) observed between visitors and locals aren't very friendly (which might explain why we might receive less-than-polite service). 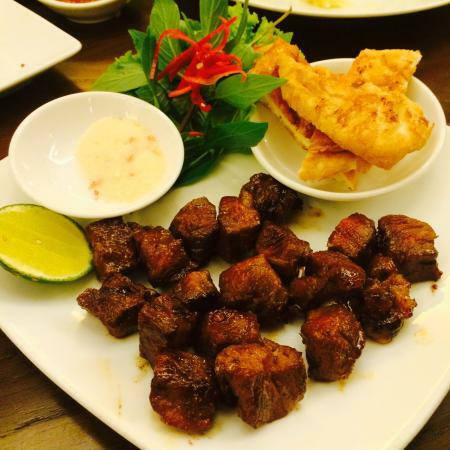 ********** THE MARVELOUS CUISINE OF VIET NAM: Whether or not you're a "foodie", dining in Ha Noi can be a most enjoyable & memorable experience. 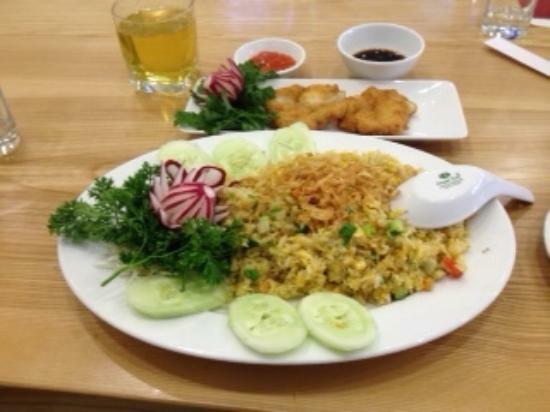 There are eateries for all budgets, serving an amazing array of Vietnamese dishes that feature really fresh ingredients which are prepared in delicious ways. 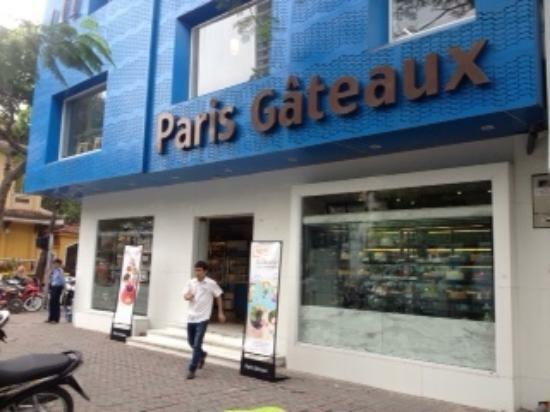 Yes, the "western" food and beverage chains have arrived in Ha Noi (e.g. KFC, Burger King, Pizza Hut, Baskin-Robbins, Starbucks), and there are also steak houses, Italian / French / American / Australian / German etc. restaurants for those who need a "familiar food fix"... but... can you enjoy a delicious, filling bowl of rice noodles, grilled meat, and veggies for $1.75 back at home? How about savoring a beautifully-decorated, French-inspired pastry or piece of cake, or an amazing cup of Vietnamese coffee with sweet milk and coconut, for a fraction of what these would cost elsewhere? 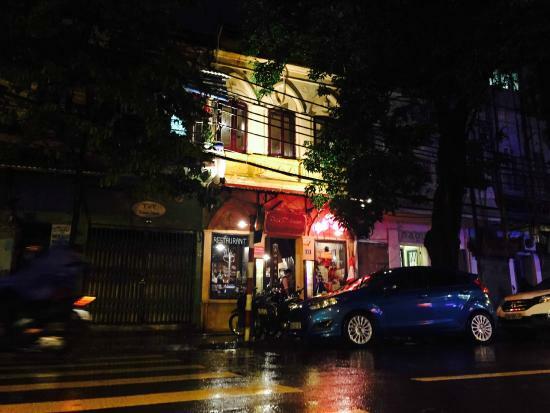 I've provided some Ha Noi dining strategies -- please continue reading... you'll also find specific places named in my "Tips" section... ********** THE EASIEST WAY TO FIND THE BEST PLACES TO EAT & DRINK AT IS... FOLLOW THE LOCALS: If you're reading this, I'll assume that you aren't part of a tour group, or have perhaps decided to try striking out on your own, separate from your fellow travelers. 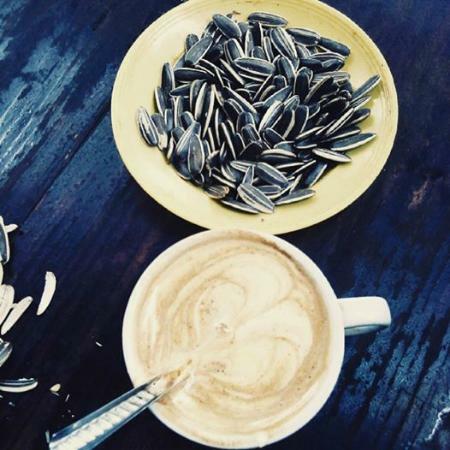 There is a reason why a particular eatery or coffee shop is jam packed with local folks -- and that's because they serve awesome tasting dishes/drinks (!). Like elsewhere in Asia, Vietnamese people truly enjoy their repasts, and a place that doesn't satisfy the palate won't be around very long (as there's a lot of competition for patrons). 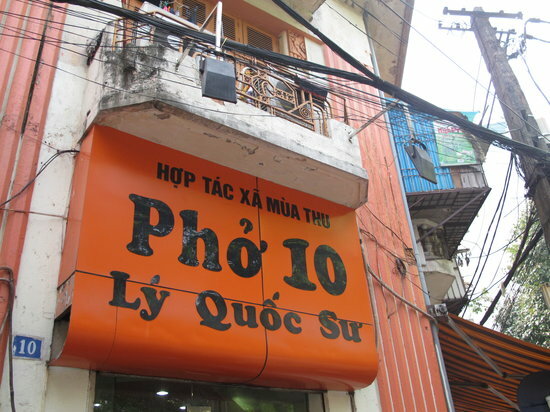 Out of the hundreds of meals I've had in Ha Noi, the (few) not-so-stellar dining experiences have occurred at places... you guessed it.... that are dominated by tourists. (Advance scouting tip: Try to check out establishments during the prime lunch hour, else you'll end up with a false impression about "lack" of popularity, if you arrive after folks have gone back to work.) 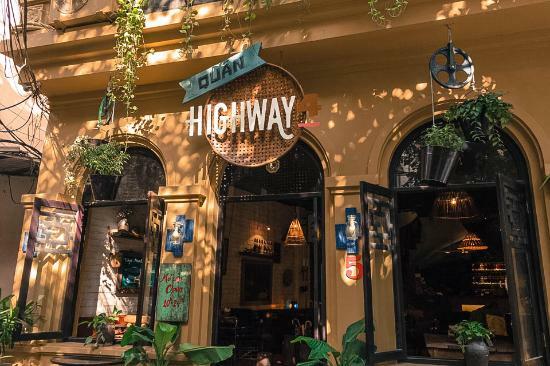 So, you're strolling down a Ha Noi street, and spot a coffee house or restaurant that's a beehive of super busy activity, filled with happy locals... After you walk in, you quickly find out that the staff speaks little or no English... Don't leave! Ask for a menu -- many places have these translated (sometimes humorously), and/or provide photos next to the items listed. If either option isn't available, the next best thing to do is to point at the pictures on the walls, or gesture at a dish that your fellow diners are enjoying. If all else fails, you can then smile broadly, hold your hands upturned to indicate that you don't know what to order -- and the wait staff will usually select items for you that are tasty and suitable (as they want you to return). 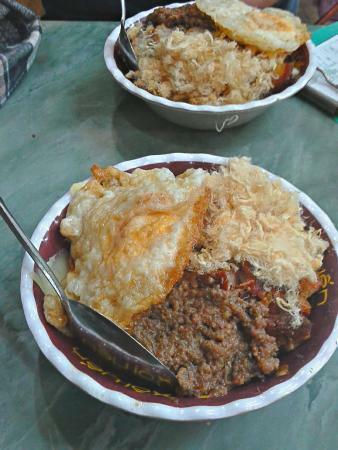 My "batting" average associated with enjoying yummy food using the "Help - I'm Lost" approach is 1.00 so far :) As the majority of eateries favored by the local Ha Noi folks aren't on TripAdvisor, this will require somewhat of an adventurous spirit -- just follow the crowds of locals! 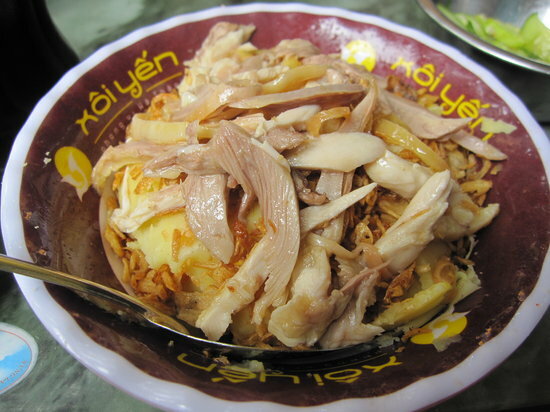 ********** WE'RE CURIOUS ABOUT STREET FOOD, BUT...: Ah, the decision to eat or not eat Ha Noi street food has probably vexed more than a few visitors. 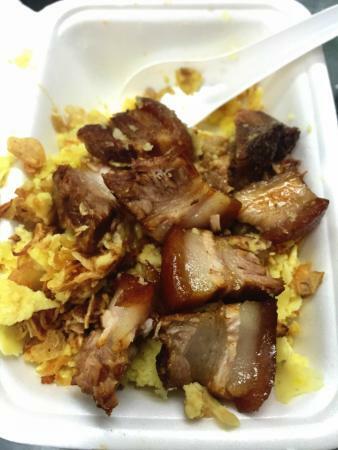 If you have a sensitive constitution, are leery about having your food cooked on the sidewalk, or struggle with those tiny stools (like moi) you can still enjoy the famous Street Food Cuisine -- as there are LOTS of places which serve these very same items in a more familiar restaurant setting. Such eateries are mingled among the sidewalk vendors, so if you spot something that you'd like to try, amble a bit further and you'll invariably find the same being served at a place with regular tables and chairs (& an indoor kitchen, restroom, etc.). 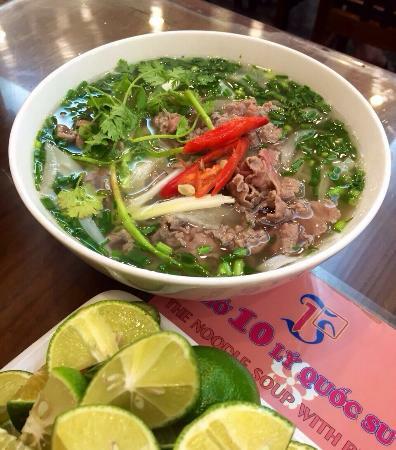 (NOTE: The nicer setting is also accompanied by higher prices -- please see my recommendations for places to eat at, where you won't be charged an exorbitant amount for that bowl of pho.) ********** SOLO? 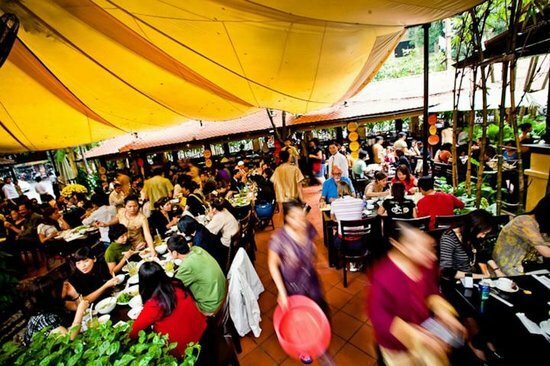 : One thing you'll immediately notice is that the Vietnamese are very social -- and rarely go to eateries, coffee houses, museums, etc. by themselves. So, as a solo traveler, you may feel rather conspicuous... This presents a wonderful opportunity to sit down at those long restaurant tables, and strike up a conversation with your fellow diners. As I frequently dine/drink coffee and visit the sights by myself, I've been able to have delightful conversations with many Vietnamese; they're quite fascinated about foreign countries, and seem happy to share information about life in Viet Nam as well. Start with a smile and a nice introduction, and folks will respond (or at least politely let you know that they can't speak English). 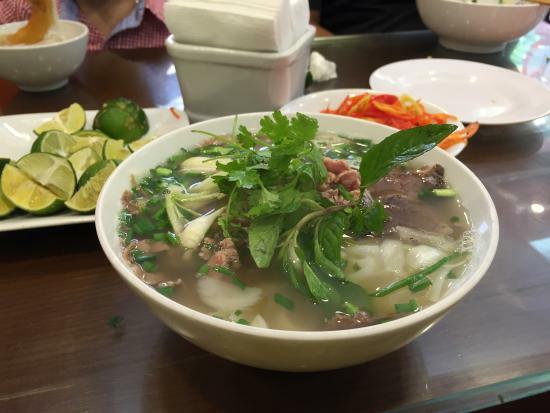 ********** THE PLACES THAT SERVE ONLY 1 TYPE OF DISH: Finding a crowded Ha Noi restaurant that specializes in only a single item is like hitting the "food lottery jackpot" -- be prepared for a wonderful gustatory experience! 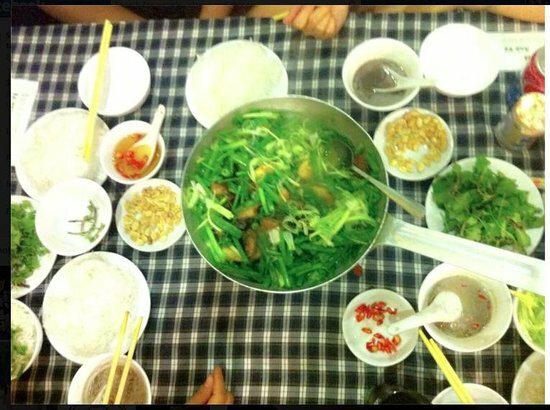 The famous "Cha Ca" fish (a Ha Noi specialty), "Pho" (beef noodle soup), and "Bun Cha" (grilled pork w/ rice noodle) eateries are among such places that are worth seeking out... Again, look for lots of locals to help with making your selection. 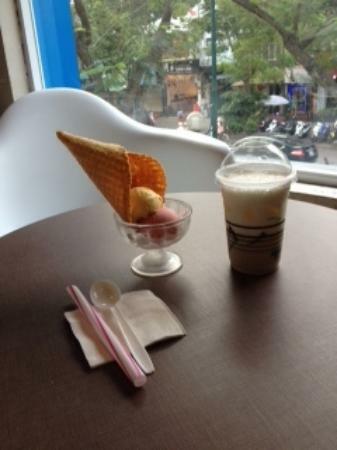 ********** COFFEE AND SWEET TREATS: If you don't enjoy these items, you have my sincerest pity -- as Ha Noi offers so many options to savor a caffeinated beverage and delightful desserts. 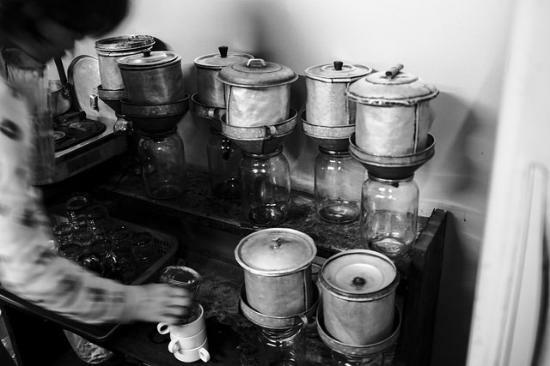 Be prepared to become "addicted" to the super strong & amazing Vietnamese coffee (especially versions with sweet condensed milk + coconut flavor, or with egg), and having to go through withdrawals when you depart. 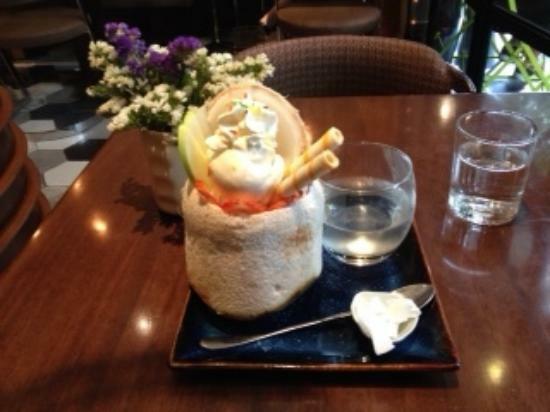 Asian pastries and desserts are less sweet than western versions, and often include fresh fruit. 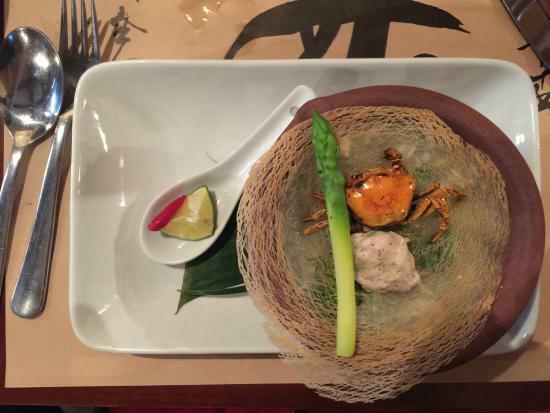 The smaller servings allow you to sample more than a single item (many of which are inspired by both French and Vietnamese recipes). 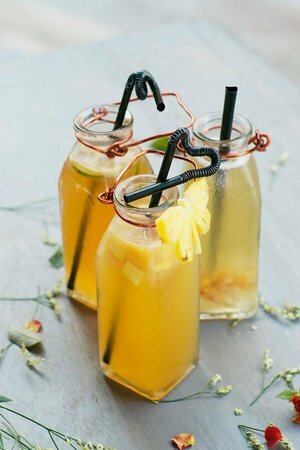 Another delightful way to satisfy your cravings are via dessert "drinks", which contain jellies made from fruits, and served in a semi-sweet liquid. 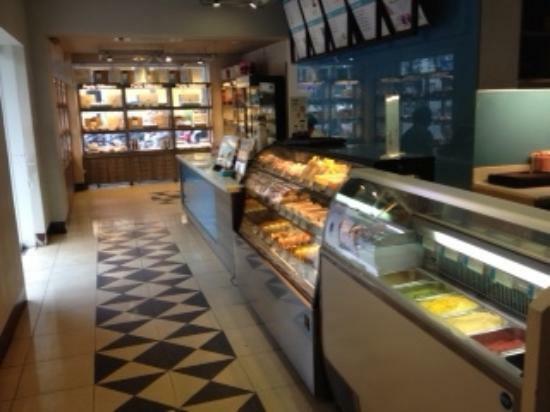 Many places also sell fresh fruit smoothies (made without sugary syrups), plus ice cream, gelato, and sorbets (which arrive in portions that don't over-tax your capacity). And be sure to sample the delicious fresh pineapple -- these can be purchased already trimmed and sliced, from the many street vendors. ********** SUPER FRESH SEAFOOD, ANYONE? 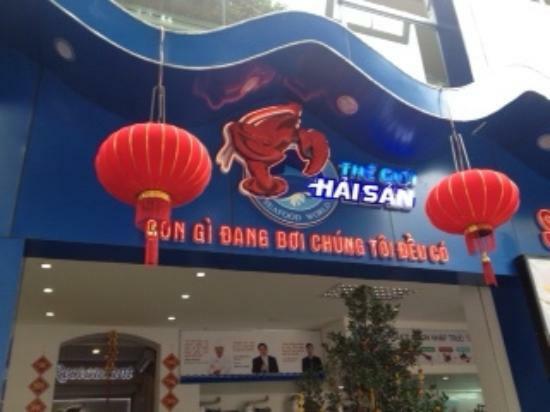 : For lovers of fish, crustaceans, and mollusks, Ha Noi has much to offer... If your time & budget will allow, it is worth sampling one of the city's "Hai San" (seafood) restaurants -- the ones with the live tanks outside. 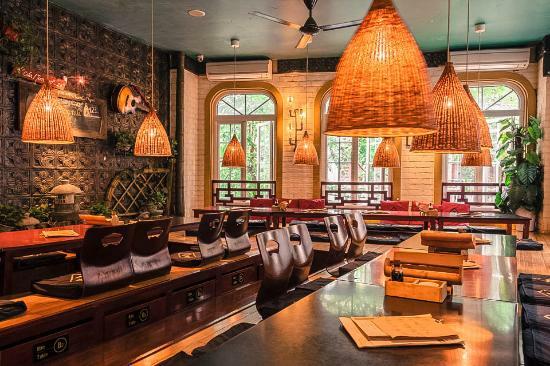 These eateries are perhaps best enjoyed with friends, as they offer whole fish and other dishes that are served in portions beyond the capacity of a solo diner. Keep in mind that items from the aquaria are priced by their weight, so it's a good idea to get a size estimate of your chosen species from the wait staff before ordering (to avoid a surprise when the bill arrives). 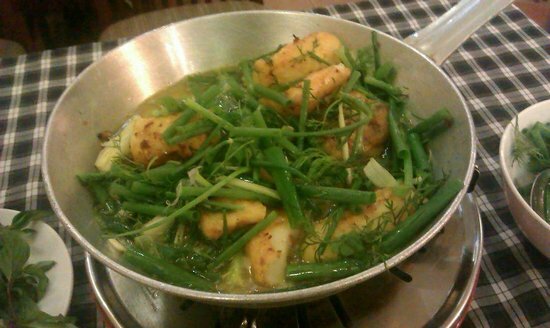 You can have your fish steamed or fried (w/ sauce atop) -- both methods are very tasty! If the prices and/or portions seem daunting (i.e. 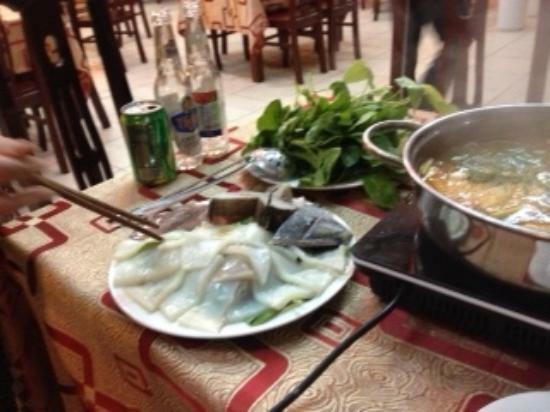 because you're dining solo, or have a limited budget), you can still enjoy Hai San: 1) Asian carp have sweet white flesh, are really delicious, and less pricey; 2) Braised "basa" catfish steaks, served in a clay pot w/ delicious sauce, are inexpensive and very yummy (~65k VND for a single serving); 3) Squid dishes (breaded/fried calamari style, or stir-fried with vegetables), as well as fried rice or stir fried noodles with seafood, aren't costly and are suitable for solo diners/couples with small appetites. 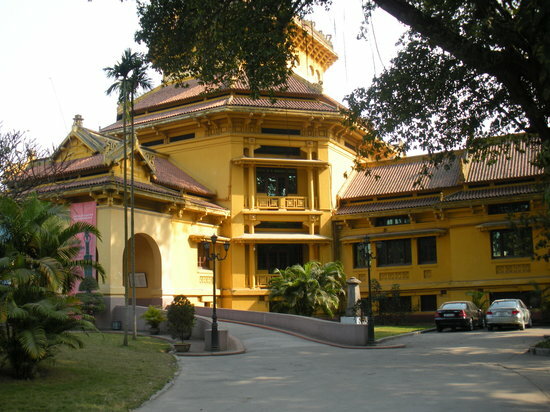 ********** FANCIER DINING: Ha Noi has very upscale eating establishments, which are wonderful for a romantic meal, dining after seeing a performance at the Opera House, or other special occasions. 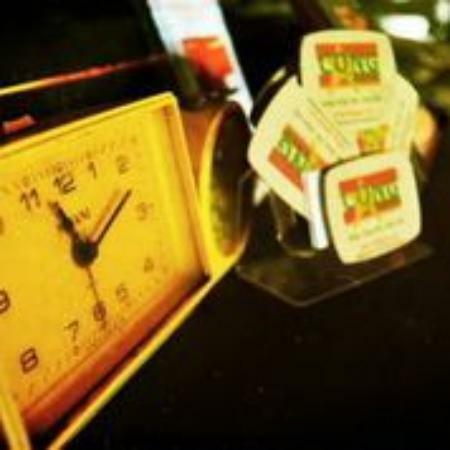 You will find impeccably dressed staff, linens on the tables, lovely decor, and artfully presented food offered at these places. It's quite wonderful to don nice attire and dine at a fine restaurant -- for less than what you'd pay for the same experience outside of Viet Nam. *NOTE: As elsewhere, ordering alcohol at a fancy eatery in Ha Noi will add substantially to your tab. 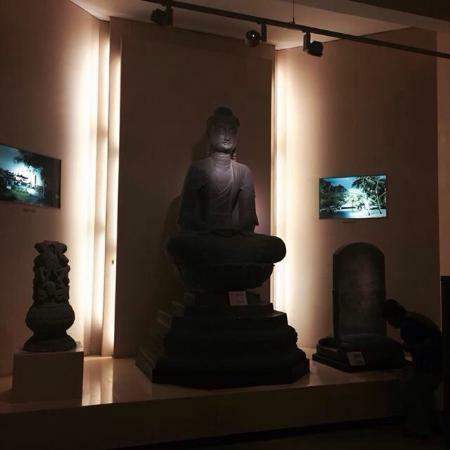 ********** HISTORY & CULTURE: I'm always amazed and delighted that the admission fees for most cultural and historical attractions in Ha Noi are so inexpensive -- for less than the price of a USA latte coffee, you can spend an afternoon discovering the 80+ ethnicities of Viet Nam, see artifacts dating back thousands of years, stroll through temples, and learn about the many fascinating (and sometimes sobering) facets of this ancient country. While visitors expecting an experience similar to the Louvre, Hermitage, or Smithsonian will probably be disappointed, I have been quite pleased with the well-curated exhibits (with good English and French translations) at most of these places. 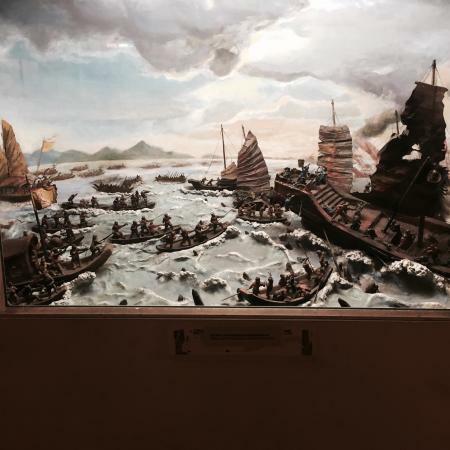 (Hint: If you like to have an unhurried museum experience, note that hired guides/interpreters tend to rush folks through these places.) 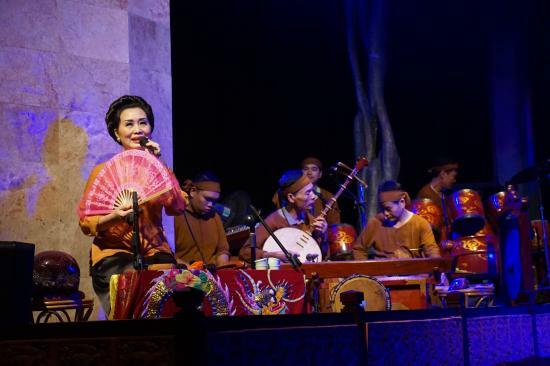 Live performances are priced low in Ha Noi, e.g. 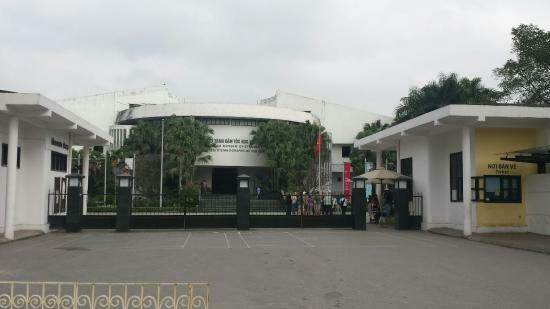 the traditional Vietnamese Opera and Water Puppet shows are very inexpensive; prime seating at the venerable Ha Noi Opera House are less than $25 USD, and even less for spots along the sides. 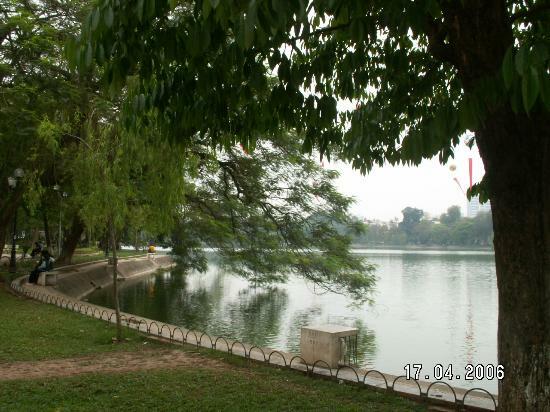 ********** HA NOI'S MARVELOUS PUBLIC PARKS: For a true Ha Noi experience, visit one of the many public parks in and around the city... 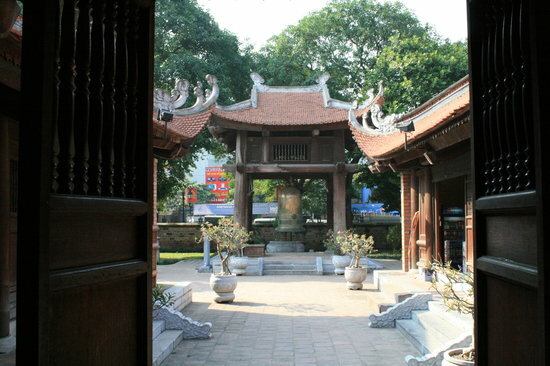 These places are kept very clean, offer nice shade & benches for sitting (& relief for tired feet) -- and they are excellent spots to observe Ha Noi-ans enjoying their ancient city. During the early mornings, you can watch elders practicing Tai Chi, adult couples dancing to ballroom music, or impromptu badminton games between friends/families. Weekend afternoons are perhaps the "best" time to go to a public park, as folks from all ages and walks of life can be found exercising, playing, drinking tea, and having a good time. I've seen wedding parties posing for photographs, fishers filling baskets with tasty tilapia, young couples on romantic strolls, athletes engaged in fitness training, grandparents doing calisthenics, youngsters cruising around on roller blades, hacky-sack devotees exhibiting their skills, teen groups learning dance moves -- and all of this without the omnipresent motor scooters (!). Nearly all of the public parks are free too, so spending an hour (or longer) at these spots is really worth your time. 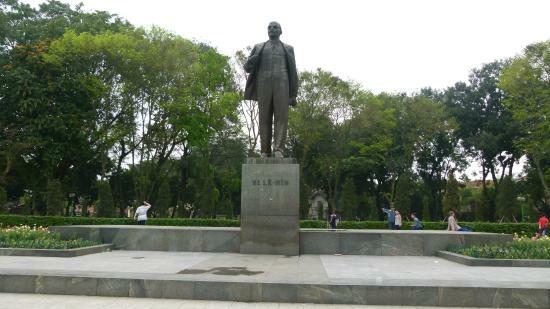 ********** I hope that my information will benefit you as an independent travel in Viet Nam's' exciting, chaotic, and fascinating capitol city -- enjoy Ha Noi! This restaurant has amazing view of West Lake from its 8th floor... Great cuisine (Asian-inspired + western style dishes), excellent service, and very nice setting/surroundings. Patrons tend to dress smartly when dining at 6 Degrees. Cab ride from the Old Quarter will cost about 40k VND. Vietnamese coffee w/ condensed milk + coconut = must try! One of those amazing single-item eateries: really yummy fresh seafood rolls & seafood soup that's chock full of crab, shrimp, & veggies. Very popular with the locals and close to the cathedral in the Old Quarter :) Note: You can order just the soup w/o fresh rolls, if you prefer. 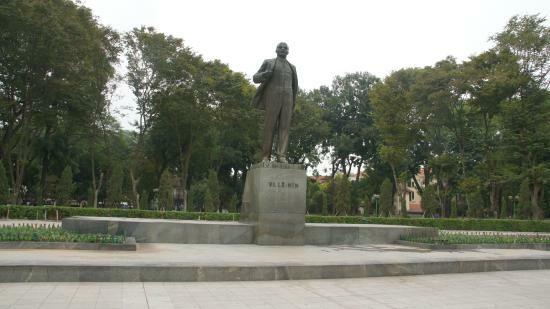 *NOTE: The TA map location incorrect -- this place is about 1.5 blocks further north of the spot shown -- on the left side of the small triangular park at the intersection of Quang Trung Street & and Trang Thi Street. Spiffier dress is appropriate; the upstairs tables next to the windows provides a nice view of the street activities below. 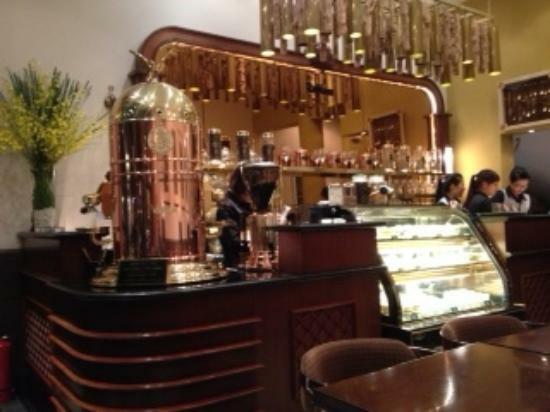 Probably the most elegant coffee spot in Ha Noi :) Great drinks, lovely setting and ambiance, and tasty desserts offered too. Staff are very polite & speak English as well. Prices a bit higher than other cafes -- the A/C is quite nice on a hot day strolling through the Old Quarter :) Lots of local patrons (especially couples)... a romantic setting indeed. 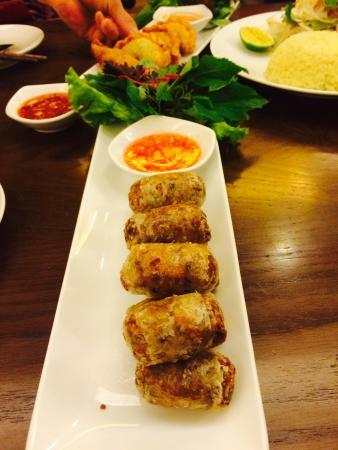 Vietnamese food is also available here. Chic and modern eatery featuring Asian-style baked goods, ice cream, and unique drinks (plus espresso and other coffees as well). 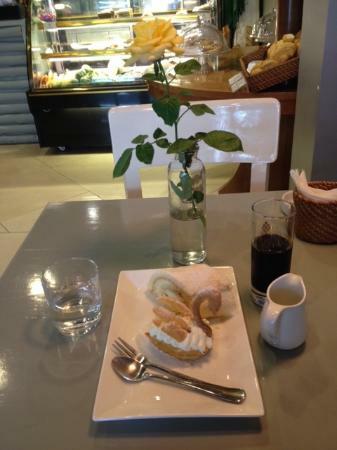 You'll enjoy eating the not-too-sweet pastries... Savory items also sold here. Orders are placed on the main floor, then are brought upstairs to the (a/c-cooled) dining areas. 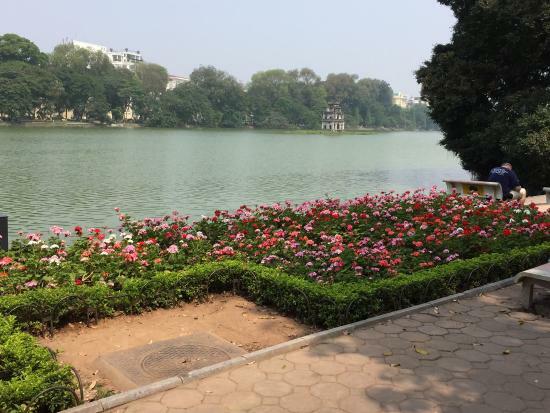 Probably the best public park in Ha Noi :) Big trees, multiple paved pathways, large lake w/ islands, paddle boats (for rent), a carnival & play equipment for (younger) children, benches everywhere to sit at, and several spots for public performances are available here. 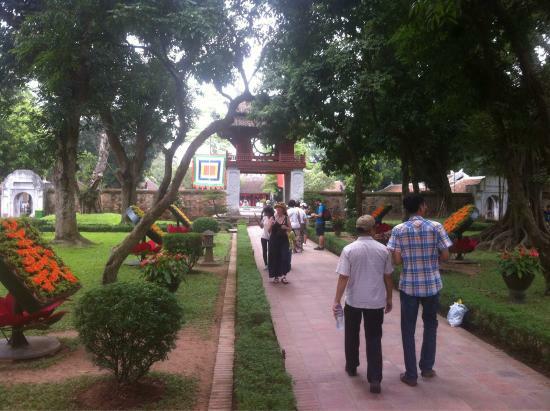 Small admission fee (4000 VND) -- and no scooters! 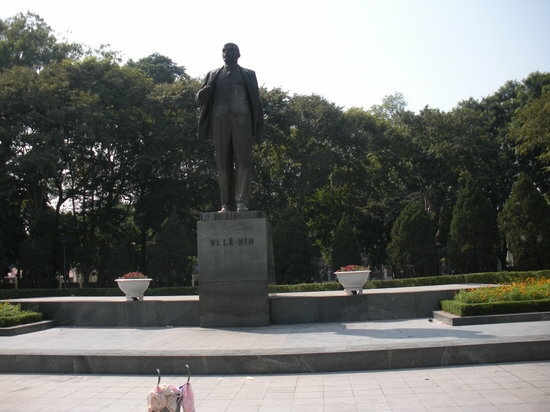 NOTE: The TA photos for this attraction actually belong to the "Lenin Statue Park"... Thong Nhat used be called "Lenin Park", which is likely the source of confusion with some visitors. 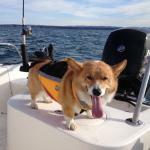 This restaurant seems to have the best selection of the freshest seafood always available... 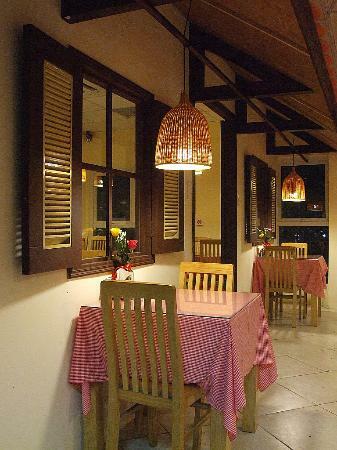 Interior is immaculately clean and modern, serving staff extremely polite and helpful. 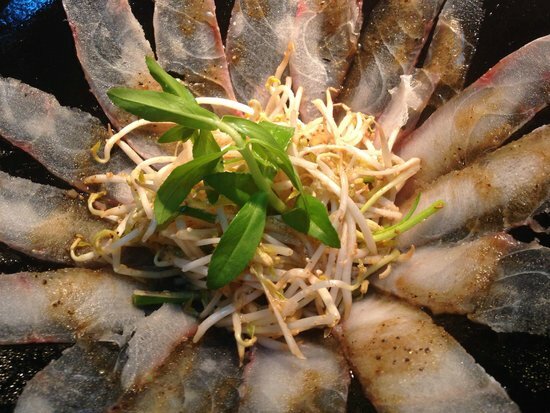 Popular among the locals, who know where to eat great seafood dishes! 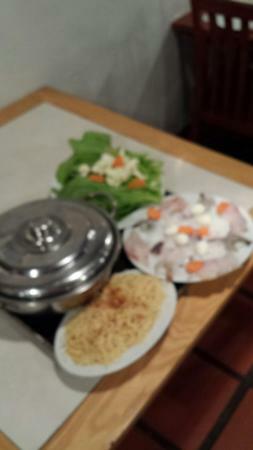 Note: Best visited with a group so that you can enjoy a whole fish/variety of dishes. 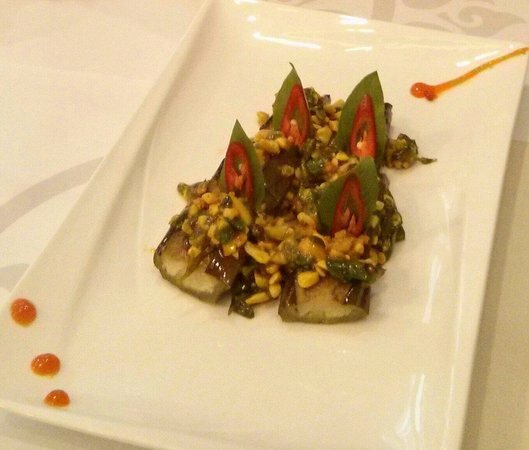 The pomfret fish can be consumed by a (hungry) solo diner (will cost about 500k VND w/ rice and an appetizer). Before confirming your selection, ask the server to estimate the weight of the fish you will be ordering to get an idea of the cost for your dish. 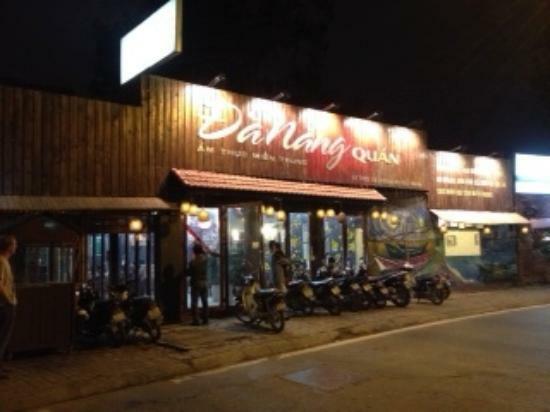 The Quan An Ngon is probably the best place to sample the many varieties of Vietnamese cuisine at one place. 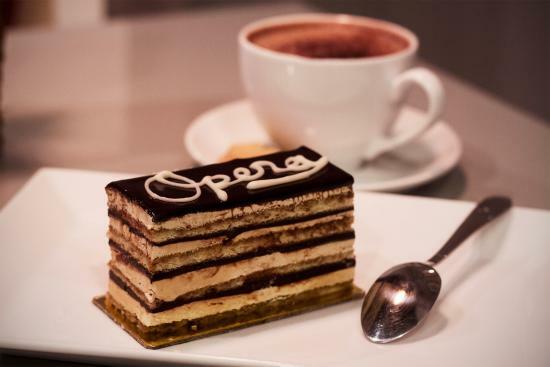 One spot is an outdoor-styled cafe (w/ awning to keep you dry during rainstorms, plus long tables to facilitate meeting your fellow diners), and there's also a fancy restaurant in a restored French villa (for a more upscale dining experience). 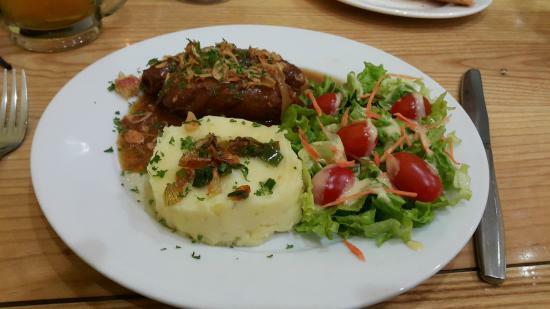 Both offer really tasty food and great service, with prices that aren't too expensive :) Very popular with visitors and locals both! 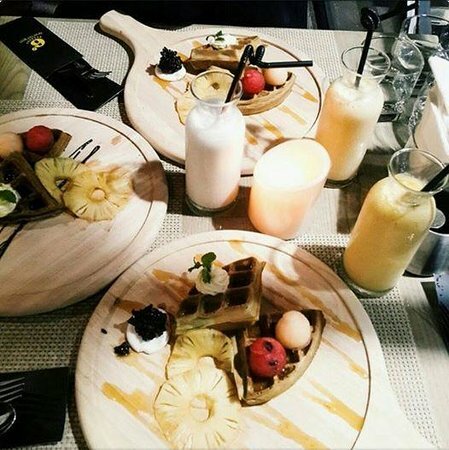 The Bahn Zeo pancake is a "must-try" item -- ask the server to show you how to wrap these :) This restaurant can get quite busy, but it's worth the wait! 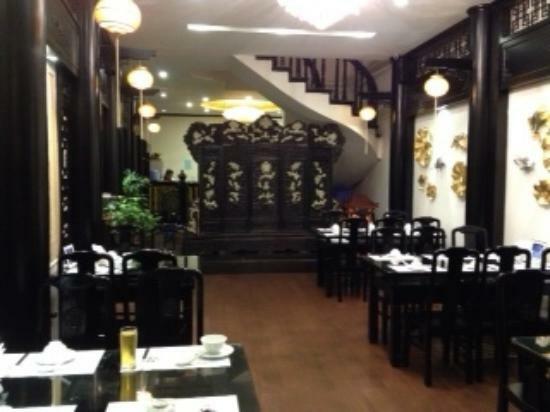 One of my favorite "upper-scale" Ha Noi eateries :) Elegant surroundings, innovative menu, delicious food, great service by English-speaking staff -- worth sampling during your visit! 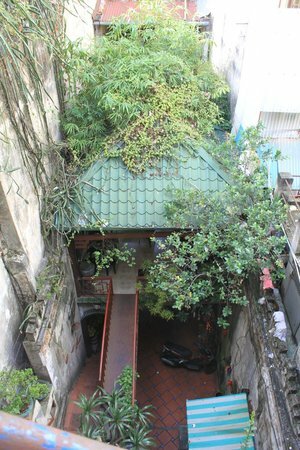 The Cafe Dinh is a "hidden" gem of a coffee house located right next to Hoan Kiem Lake -- but you have to know the secret to find this place: Enter the street-side shop that sells backpacks, head to the back of the store and climb the narrow stairs, skirt the dishwashing spot, and squeeze through the narrow entrance into this small place. 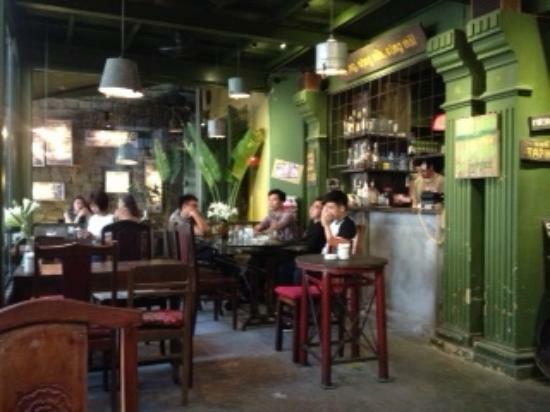 Cafe Dinh is always packed with locals (and the occasional tourist). They have the best prices for coffee drinks -- most cost 15k VND, and are really delicious/perfectly brewed :) Not a fancy place, but your taste buds will be delighted after your first sip! Balcony seating = best, albeit a favorite with the patrons (so might be difficult to score a spot). 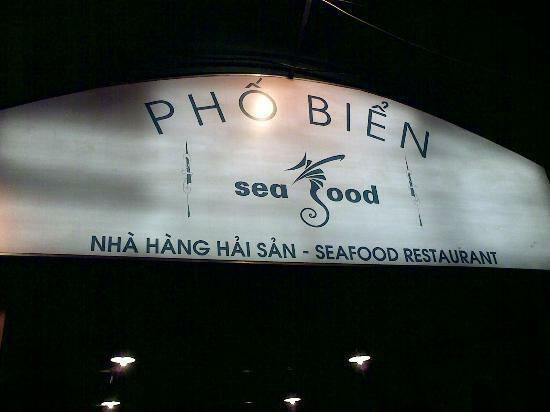 The classy Pho Bien restaurant offers really top-notch seafood at somewhat lower prices than the other (similar) Hai San places. 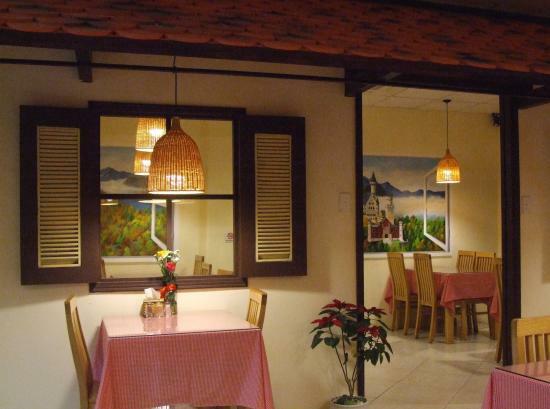 There are at least two locations in the Old Quarter, and both offer great dishes prepared with really fresh fish, plus nice service -- every meal that I've eaten here has been excellent :) It's very popular with the locals, and many parties are held here! 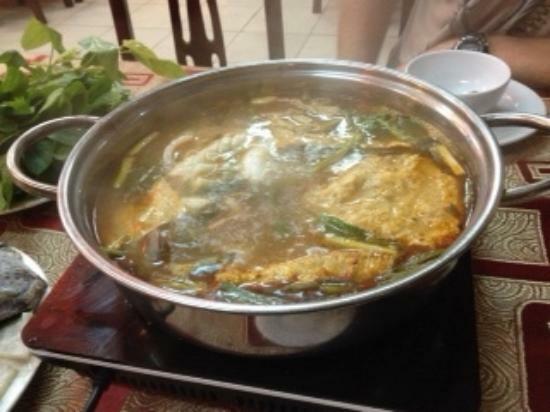 Note: If you want to try braised catfish in a clay pot, this is the best place to sample this classic dish :) 65k VND for a single person serving... your order will arrive with 2 thick fish steaks and delicious sauce (add to your rice). 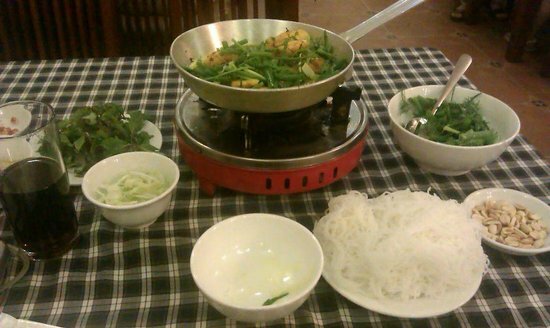 The Cha Ca Anh Vu is my favorite place to try this classic Ha Noi fish dish -- which is the only item served here. 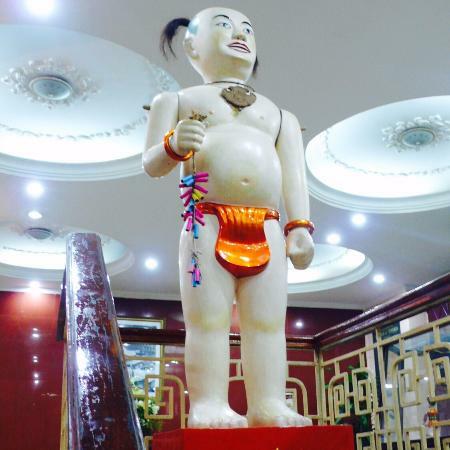 (Judging from its immense popularity with the locals, other Ha Noi-ans agree with this assessment as well). 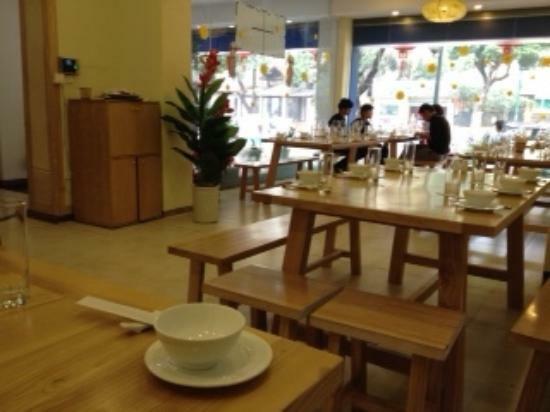 There are 3 levels to accommodate the many diners :) Note: The excellent and polite staff will help with the table-top cooking of the Cha Ca, and show you how to eat it with the rice vermicelli, peanuts, and shrimp paste. 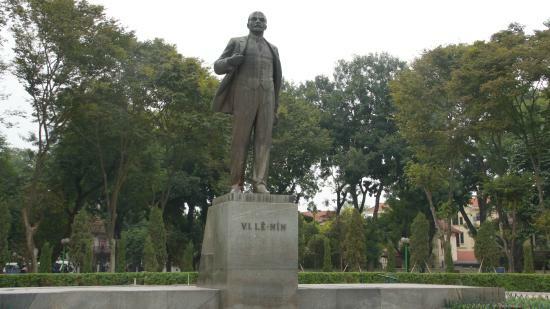 Ha Noi's ode to Comrade Lenin :) After taking your photos, relax on the shady benches (in the park area behind the Comrade)... it's a great spot to view the locals partaking in their daily activities. In the morning before 8am, you can often watch couples perfecting their ballroom dancing techniques here. 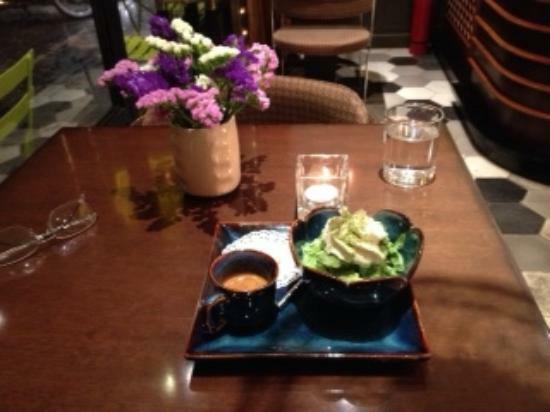 This very elegant eatery features a wide array of vegetarian dishes (and ones with meat as well). 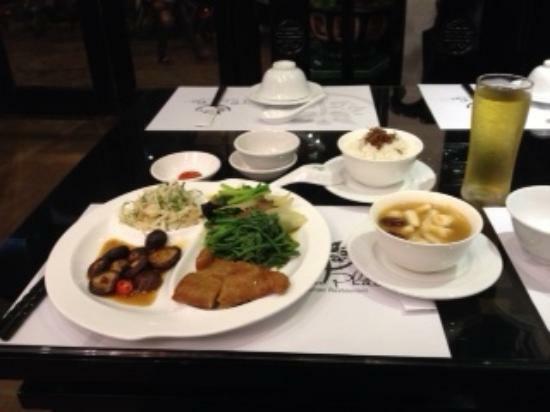 The dining rooms are delightfully decorated and ultra-clean, soft music plays overhead, and the wonderful wait staff (attired in classic ao dais Vietnamese dresses) provide excellent, courteous service. The food is well-prepared, delicious, and served with eye appeal too :) A nice spot for a romantic evening, without spending a fortune! 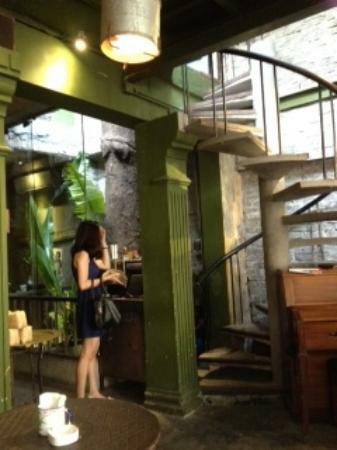 Another great spot to enjoy caffienated drinks in a chic and comfortable atmosphere... always lots of local folks here! Fast WiFi, a great variety of offerings, and polite/courteous service at the Cong Caphe, always :) Prices are a tad bit higher (> 5k VND), but the A/C and ambiance is worth it (in my humble opinion). 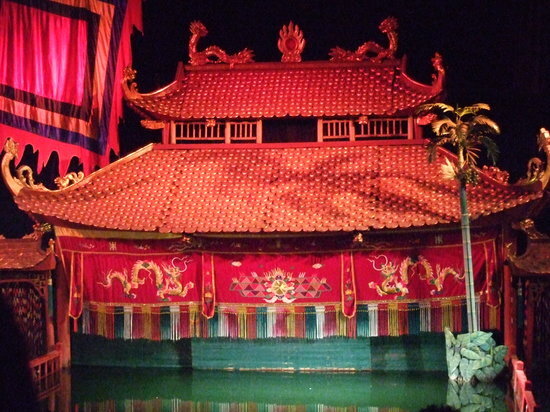 Be sure to find out about the water puppet show schedule before visiting -- you'll want to catch this classic performance! 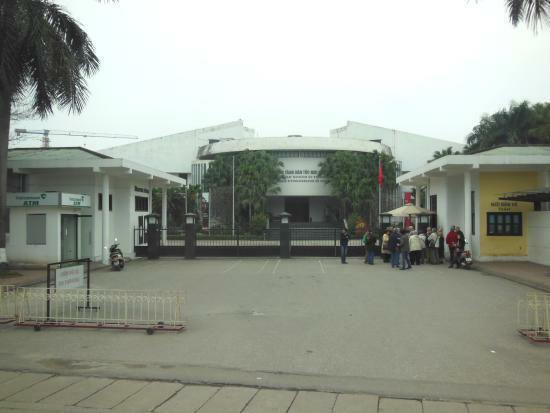 This excellent museum is well-worth visiting -- it features nice exhibits of artifacts dating back as far as 400,000 years, up until the 19th century. 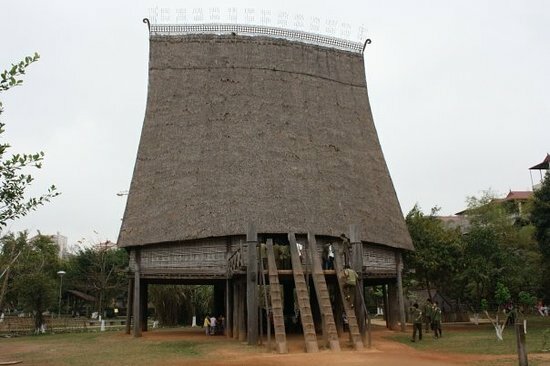 The displays of the ancient bronze drums, giant stone turtle, and the funeral canoe are amazing... If you arrive during the lunch time closure, no problem -- just enjoy a coffee or tea drink at the nice cafe in the outside courtyard (where you can also view ancient stone statuary as well). 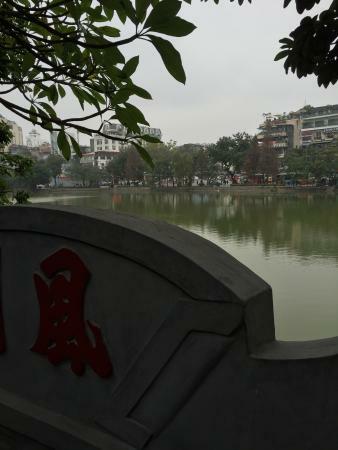 To the Vietnamese, Hoan Kiem Lake is not "just another lake" -- this place has much historical significance :) (Read up on its background before visiting :) Hoan Kiem Lake is in the heart of the Old Quarter, and the broad walkways along its border are really popular for strolls by tourists and locals alike... It's one of my favorite spots to spend a leisurely weekend afternoon :) Note: I've observed an interesting event here at Hoan Kiem Lake: a group of student-age youth (usually young ladies) will approach and surround a tourist (typically a male, solo westerner), and ask if they can interview him for a class project... sometimes the session is video recorded. I'm not sure if these are "legit" -- so it's best to make sure that you don't leave yourself vulnerable to having your items removed while distracted. Also, I've observed men appearing to be tour guides approaching lone visitors; a young boy shows up after greetings are made, and he announces that he wants an opportunity to practice speaking English. These are not "random meetings', but appear to orchestrated events (as I see the "guide" and "boy" discreetly meeting, after the unknowing tourist departs). Interested in visiting a 1000 year old institute of higher education & viewing remarkable classic architecture? 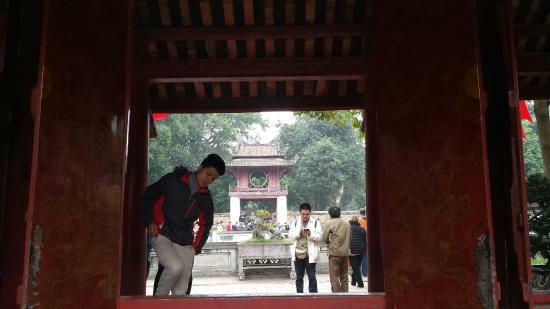 The Temple of Literature is such a place... Stroll the well-manicured grounds, and check out the curated exhibits -- especially the stone stelae atop the carved turtles, which list the names of professors & graduate dating back hundreds of years. Many folks don't go beyond the first large courtyard/temple, and miss out on the more amazing, multi-story building that's behind; there are musical performances here at times too.